One-of-a-kind project bags hand made by Spud & Chloë’s spiffy (and thrifty) Aunt Anna. 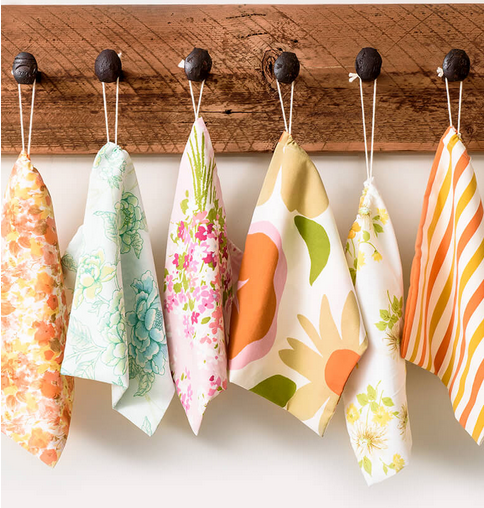 The quaint linens are sourced from her very own collection of vintage fabric. Aunt Anna sews them up, adds a drawstring, and voilà, the perfectly suited bag for toting all your favorite projects. Each bag is completely unique, so why not dedicate a different project to each one. Just grab and go!